Dave Maclaren in recent times. It has taken the best part of two years and some persistent digging Down Under but we can now finally deliver an interview with Dave Maclaren – the Wolves keeper who departed these shores almost 40 years ago. 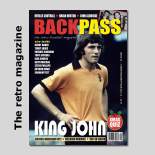 Wolves Heroes’ co-owner John Richards recently made the vital contact by phone with a man he briefly knew as a coach at Molineux and who lives relatively close to the Richards’ eldest daughter Kim in Victoria. “Dave is in a place called Maldon, which is near Bendigo and is referred to as Australia’s first notable town because it was so important in the gold rush days,” he said. “He is now 77 and retired. He lives with his wife Isobel and does a little bit of farming on his few acres of land, keeping the grass down and cutting the trees – basically enjoying a peaceful life and the odd round of golf. Richards is a twice-a-year visitor to the Melbourne area with his wife Pam and used their latest trip to ring another ex-pat, the former Aston Villa coach Roy Maclaren. From there, the path opened up smoothly to brother Dave, who sowed the seeds for his wanderlust while completing his RAF stint in the Far East. Working as a radar fitter in the 1950s, he turned out for the Hong Kong and Malaya teams and won the Malaya Cup with Penang State. 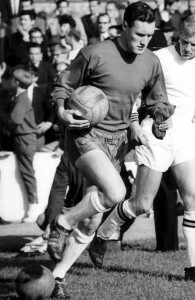 Maclaren, who was born in the Perthshire town of Auchterarder, returned to Britain to play for Dundee via a short spell as an amateur with Chelsea, then moved on to Leicester, where he became first-choice keeper in a side who won promotion back to the top flight in 1956-57. He made around 90 appearances while at Filbert Street but recognised the danger signs when confronted by a sizeable barrier to his first-team prospects in the shape of the emerging Gordon Banks. That persuaded him to uproot again in 1960, this time to Second Division Plymouth, and he spent longer there – some five years – than at any of his other clubs. He didn’t have to look far during his career for guidance and advice. 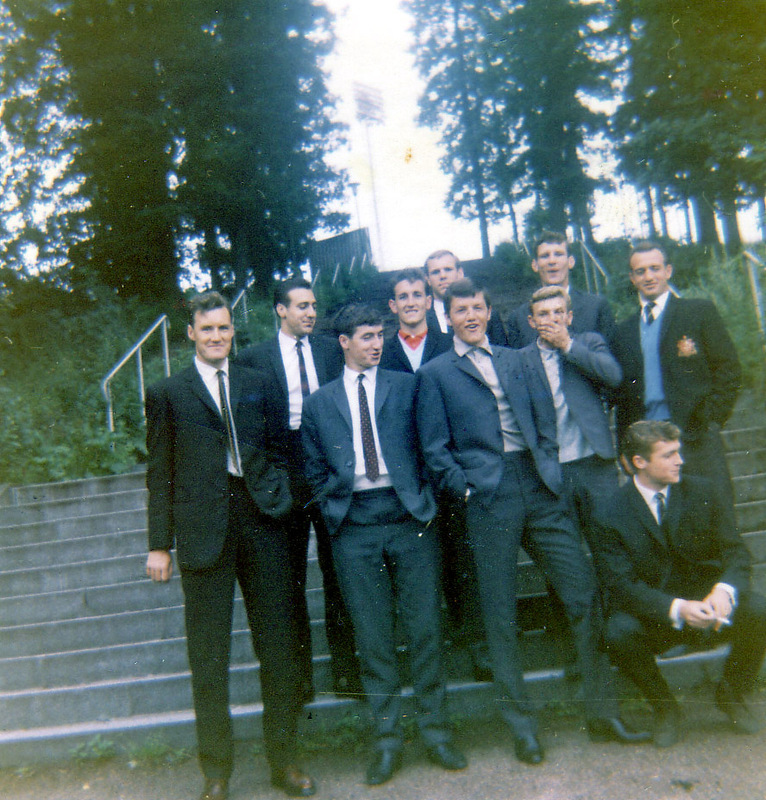 Amazingly, Maclaren was one of four goalkeeping brothers, Jim and Roy also playing professionally and Monty being attached for a while to Liverpool. Maclaren runs out alongside Ron Flowers for a game at Leyton Orient. On the law of averages, it must have been a decent bet that one of them would land in the West Midlands and, sure enough, Dave moved here at the very start of 1965. Maybe it was the presence of a fellow Scot in the manager’s chair at Molineux that prompted his arrival. Andy Beattie, a former national boss north of the border and one of Maclaren’s ‘gaffers’ at Plymouth, was the man carrying the unenviable responsibility of succeeding Stan Cullis. He enticed him to the region while Plymouth signed the former Wolves man Noel Dwyer from Swansea as replacement – and an unusual blooding in Wolves’ side followed. Signed on the evening of Friday, January 1, Maclaren made his debut the following afternoon at Arsenal in preference to Fred Davies, who promptly put in a transfer request. The newcomer had mixed fortunes in the 4-1 defeat at Arsenal and, under the 14-day registration rule then in place, was unable to play in the following weekend’s FA Cup tie at Portsmouth, nor in the replay. As a result, he disappeared to the shadows for a further three months until Davies and his colleagues haemorrhaged seven goals across North London at Tottenham. Maclaren (far left) with John Kirkham, Hugh McIlmoyle, George Miller, Bobby Woodruff, Peter Knowles, Paddy Buckley (laughing), Dave Woodfield, Terry Wharton (crouching) and Gerry Harris at the 1965 friendly in Kaiserslautern. This time Maclaren’s call-up added up to more than a mere cameo appearance. He remained in the team until the following November, reeling off 24 successive outings before putting together an unbroken run of more than 20 games at the end of 1965-66 after the gloves had briefly been handed back to Davies. Then his senior playing career with the club ended as it had begun – with a one-off appearance. Ronnie Allen picked him for the opening game of 1966-67, a defeat at home to Birmingham, and that was that before Davies returned and Phil Parkes subsequently staked an irresistable claim to the jersey. But the memories don’t end there. “I went on to coach for a while at Wolves in the late 1960s, working mainly with Bill McGarry and Sammy Chung,” Maclaren added. “Every time Bill was in a bad mood, he took Sammy out for a game of squash, then ran him ragged. Poor Sammy was knackered in training. I bet those ten years aged him a bit. “McGarry was a fitness fanatic. He used to take us on these long runs over Brocton and he always had to be at the front. It suited me because I was happy at the back. He was a tough guy but a good man and I got on well with him. He could handle players like Dougan and Peter Knowles. “I was one of the first people Peter told when he decided to become a Jehovah’s Witness. He was only 23. Actually, I’d already written a couple of transfer requests on his behalf. McGarry used to think Peter had a lawyer to write them but it was me. 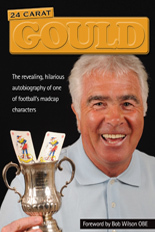 “There were some great characters and we had some good fun because we had a number of little rogues, like Bertie Lutton and his pal, Jimmy Seal. If Maclaren’s route to Wolverhampton was a round-about one, the invitation that took him south again in between his playing and coaching stints at Molineux appears even more bizarre. Beattie’s last game in charge was the infamous 9-3 defeat at Southampton in September, 1965 – hardly an occasion on which you would expect the shellshocked Wolves keeper to impress. But the Saints manager Ted Bates filed away a favourable report on him and sanctioned a £7,500 deal a year later in the wake of his side’s arrival in the top flight. Maclaren, who wrote a column in the radically-improved Wolves programme at the end of the 1960s, is remembered with affection in the Southampton dressing room for keeping his team-mates entertained with tricks. 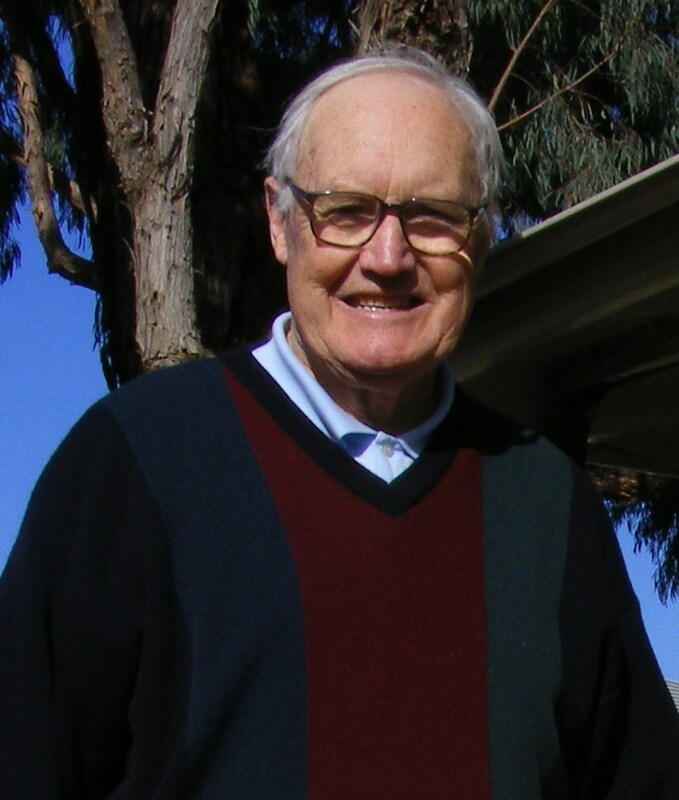 According to Terry Paine, his party pieces included flipping a coin from his big toe into his top pocket and balancing a cardboard box on his nose. Maybe it was such ‘people skills’ that nudged him towards a coaching career after his 22-game stay at The Dell. Following a brief stint with Worcester City and part two of his Molineux service, he returned to the Far East in the early 1970s to help the Malaysian national side to the finals of the Munich Olympics. Then he went even longer-haul by heading for Australia. “I came out here in 1972, when I took over as coach of Sydney City,” he added. “I stayed with them for six years but packed in football for a while. The following year, I was approached by a club in Melbourne called Hellas, owned and run by ex-pat Greeks. “It was the second year of the National League. Hellas had finished bottom the previous year, seven points behind the nearest club. I brought in Frank Munro and Bertie Lutton, both former Wolves players, and we won the league in our first season. “We had some good players but I found it difficult to get on with the owners, so I left. I was only there a year and a half. “I came out of football altogether and set up a company dealing with the administration of superannuation funds – that’s what I did until I retired. “I don’t keep in touch with anyone from the UK anymore. In fact, I haven’t been back there for a long time. When I was head-hunted by the team in Sydney, we came here, loved it and have never looked back. “In the early days, we used to return to the UK every two to three years but, when you’re out of the game, people forget you and you don’t get much of a reception. That’s what happens. Things move on. A gum tree provides a fitting background to a life in the Aussie bush. There was also a visit from Les Wilson, a loyal friend to so many of those who knew him at Molineux. 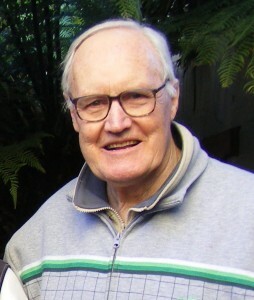 While in Melbourne for a World Cup play-off game with Canada, he made contact with Maclaren, who promptly whisked him away for lunch and an afternoon of recollections and laughs. * We are grateful to our friends at Southampton-based Hagiology Publishing for their input with this story; also to Dave’s daughter Alison for providing the recent photos. And, YES, she assures us we have spelled the family surname correctly despite many record books using a capital L.
Posted on: Sunday, August 7th, 2011.